The loss of a limb and the resulting disfigurement is a life-changing event that has a physical, emotional, financial and psychological impact on anyone who must deal with this challenging circumstance. The healing process after the loss of a limb is not to be underestimated. It can be painful, but it can also be difficult financially if you are losing time from work while you recuperate. When your loss of limb injury was the result of the negligent actions of someone else, you can rely on the Fort Lauderdale loss of limb lawyers at Yeboah Law Group to fight to win the compensation you deserve. First, let us make the distinction between limb loss and amputation. Limb loss and disfigurement occurs due to a traumatic accident, or a health condition such as diabetes, heart disease, infections, cancer or another disease. 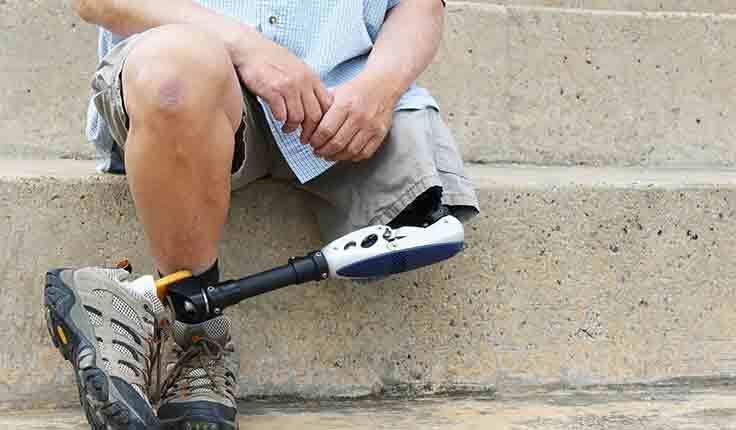 While you might think that limb loss is rare, the U.S. Centers for Disease Control and Prevention (CDC) reports that there are about 1.9 million people living with limb loss in the United States. Amputation is the surgical removal of either part of a limb or the entire limb such as an arm, a leg, hand, foot, finger or toe. WebMD reports that there are about 1.8 million Americans living with amputations, with the amputation of the leg above the knee being the most common. Nearly half of individuals who have an amputation due to vascular disease will die within five years, which a mortality rate that is higher than for breast cancer, colon cancer and prostate cancer. Although it might be horrifying to think about it, loss of limb can be the result of a preventable medical error. If a doctor misdiagnoses a disease, makes a mistake in treating a disease, or a WSPE (wrong site, wrong procedure, wrong patient error) which are fortunately rare, it can result in the accidental amputation of a limb, or the loss of a limb due to the progression of disease such as gangrene from a vascular disorder. In the case of a loss of limb being the result of medical negligence, you may be able to take legal action against the doctor or other medical professional through a medical malpractice lawsuit. At Yeboah Law Group we are aware that the compensation you might receive for a loss of limb injury can never replace your limb, but it can serve to take care of all medical expenses related to the injury, your pain and suffering, lost wages, the emotional distress and trauma of losing a limb and the subsequent disfigurement, disability, diminished earning capacity and other expenses. Treatment options for amputees and sophisticated prosthetics can help to greatly improve your quality of life after the injury has healed. South Florida hospitals such as the University of Miami Hospital have rehabilitation programs for amputees that offer a host of services to help those who have lost a limb address the practical consequences. They can also assist them with the emotional and psychological impact of the loss of a limb. Contact the Yeboah Law Group today to find out how we can help when your serious injury was a result of the negligence of another. Our client-centered law firm’s mission is to be approachable and make each client feel cared for. You are encouraged to call 1-800-TELL-SAM or to fill out our contact form to schedule a free consultation today. We serve the people of Fort Lauderdale, Miami-Dade, Palm Beach, Boca Raton, and other cities throughout South Florida.